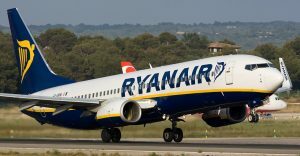 In an effort to further expectations budget airline Ryanair have elected to rebrand lowering expectations “beyond what had been thought possible”. “I think you are all beyond disgusting” said owner and Chief Executive Michael O’ Leary while throwing crisps at my face. “We wanted a name to reflect just how little we care and after a good 10 minutes discussing the merits of “Aviation-Turd” and “Cloud-Fucker” we landed on “Flight-Wanker” on account of it’s simplicity and elegance. “Enjoy your £9.99 flight to Krakow that won’t fly you absolute shart” said O’ Leary while drawing mustaches on a photo of my children.